When lawyer-by-day-foodie-by-night Geoff Fields showed up at our supper club with his now-famous roasted corn chowder, I didn’t even have time to take a picture. With ripe juicy corn upon us, this is the perfect time to try his recipe. If you can’t imagine doing it in this heat, roast the corn on your grill, freeze it, and have an amazing meal in November! Thanks again, Geoff! Preheat oven to 400 degrees. Roast corn and tomatillos separately in oven just until corn starts to brown and tomatillos become tender (about 15 minutes). Remove pan from oven and allow to cool. Cut kernels from corn; reserve kernels in a bowl and cobs in a pan. Simmer vegetable stock with chili, cilantro sprigs, and corn cobs until stock is reduced to 2 cups. Strain stock, discarding chili, cilantro sprigs, and cobs. Saute onion and poblano in pan with olive oil, adding a pinch of salt after the first minute, until soft but not yet browned. Add garlic and cook for one additional minute. Remove pan from heat and allow to cool. 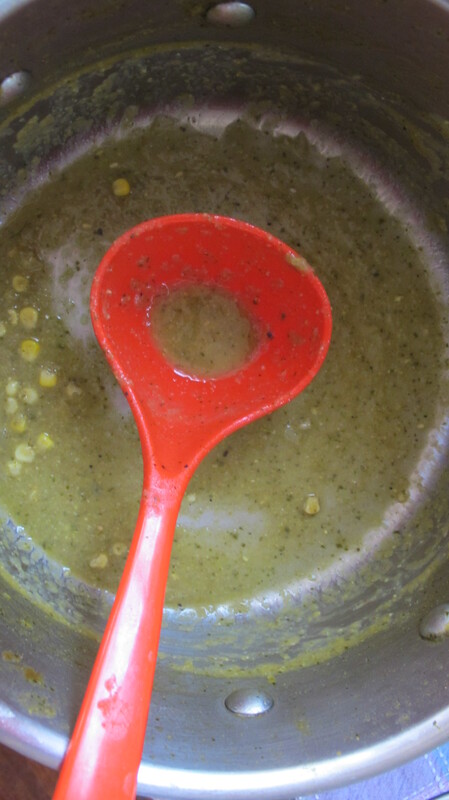 Put ½ of the corn and all the tomatillos and sautéd vegetables in a blender and process mixture until smooth. Press mixture through strainer into stockpot. Stir in broth and gently simmer for 15 minutes. Whisk masa harina in coconut milk until dissolved and add this mixture through strainer into soup, together with remaining corn kernels. Gently simmer soup for 15 additional minutes. Just before serving, add salt and white pepper to taste along with cilantro. Serve soup with lime wedges. *If you want this to taste just like Geoff’s, you have to use his stock recipe. 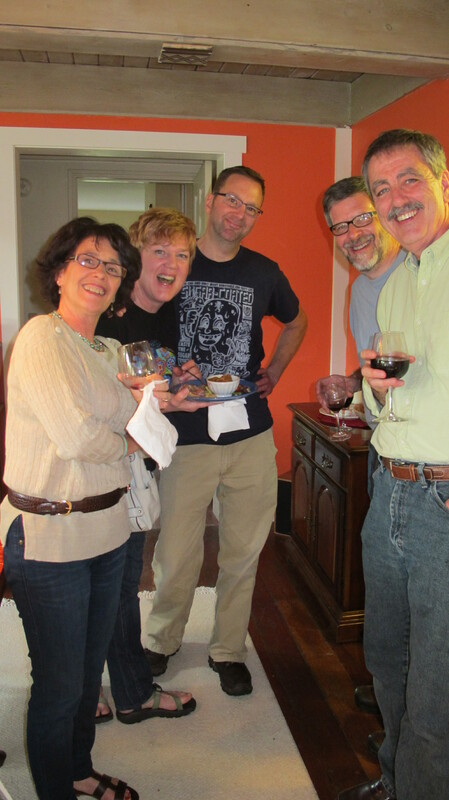 Thank you for posting (and thanks to Geoff for making that delicious soup!). Geoff has sent it. I haven’t posted it yet. On its way!